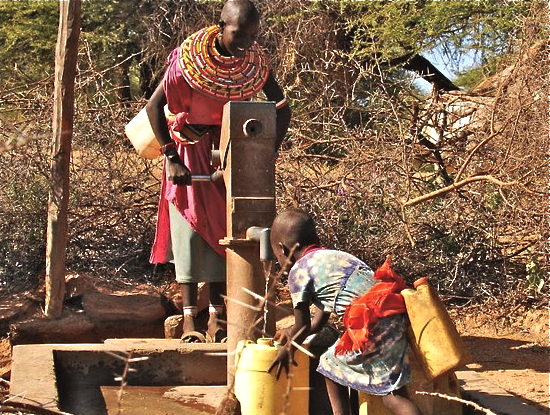 SWD raises money to help provide a deep water well for Indigenous People in Kenya. 2012. SWD raises money to help provide a deep water well for Indigenous People in Kenya through the Lion Conservation Fund & KARE. The Samburu people who live in the far northern reaches of Kenya are a pastoral nomadic tribal community with a livestock-based economy and a great cultural richness. They are related to the Maasai, sharing many customs and a language known as Maa. The moran, or young warriors, live separately from the rest of the community and are responsible for protecting the community, as well as herding cattle. They have lived sustainably with their environment for thousands of years, with the lightest possible carbon footprint.